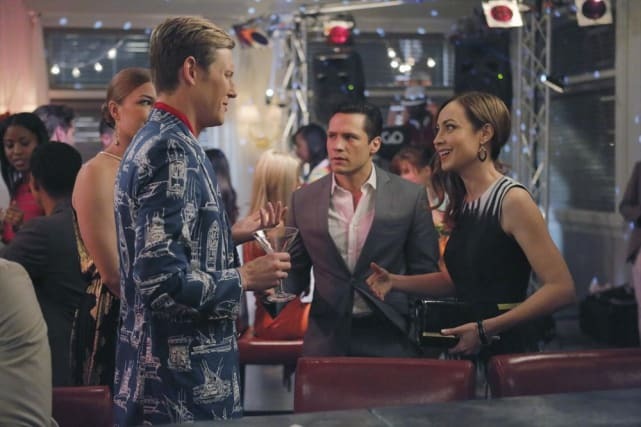 It's party time on Revenge Season 4 Episode 10! Take a look at this photo preview from "Atonement." 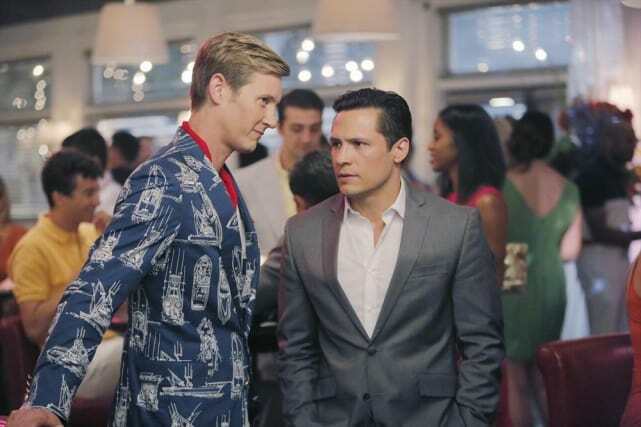 There's sure to be drama at a Hamptons party, but Isn't Nolan's jacket amazing? 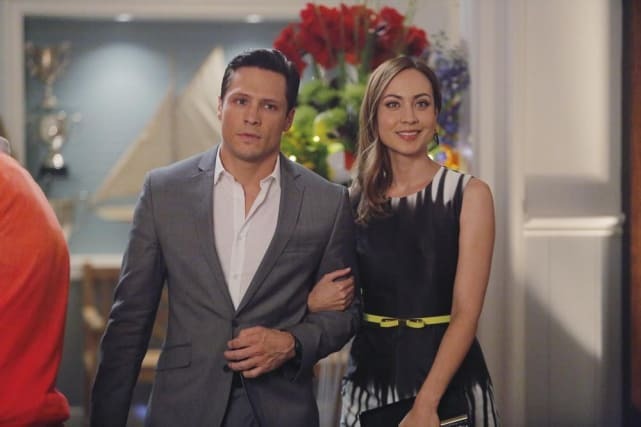 Jack brings Agent Taylor to Nolan's yacht club party on Revenge Season 4 Episode 10. Will Emily approve of Jack's latest lady? 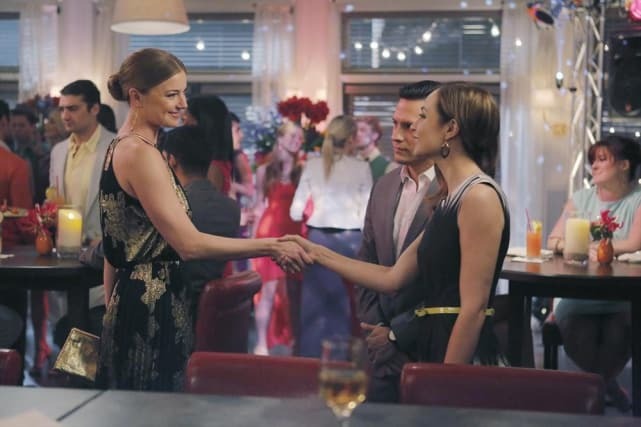 Emily is introduced to Agent Taylor on Revenge Season 4 Episode 10. Little does Emily know, Agent Taylor is working for the man coming after David. Nolan doesn't look pleased to meet the new woman in Jack's life judging by his face in this photo. Or maybe he just doesn't like her dress. Emily and Nolan look like they're scheming to find out who Agent Taylor is. They only want to look out for Jack, right? Nolan and Louise stop to take a selfie during the yacht club party. Will he regret his decision not to work with Margaux? Revenge Review: Death Becomes... Who?! ?